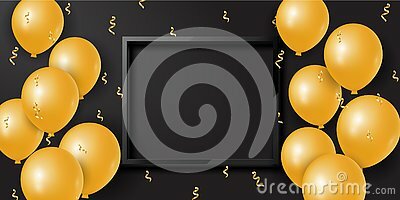 Celebration background with golden balloons and serpentine and empty space. Flyers, Greeting Card, banners, discount, special offer for the feast of Saint Valentine`s Day, March 8, Happy Birthday. Happy Labour Day Celebration. Happy Labour Day Postcard or Poster or Flyer Template. Happy Labour Day Design, Vector Illustration. Baby shower invitation card.Cute hippopotamus with balloons cartoon.